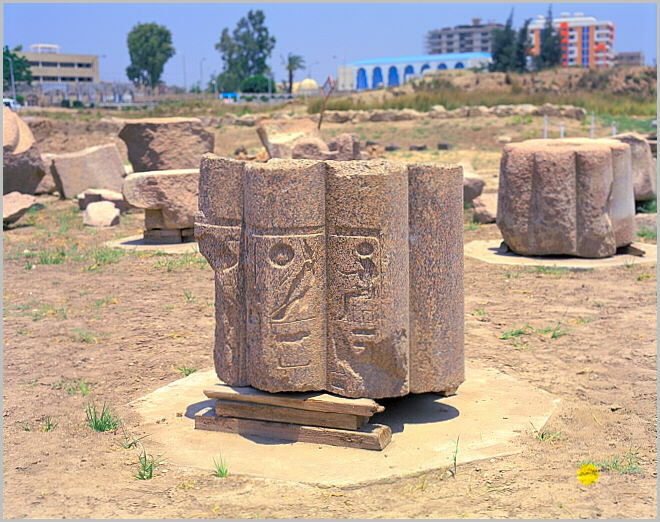 Granite column from the ancient site of Bubastis in the Nile Delta. The site is still under heavy excavation. The remains are from the Ramaside period and later. There are many granite beams and pieces scattered over a large area.